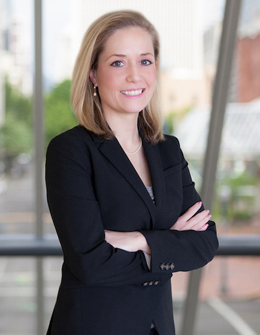 Trisha D. Hole is a partner with Reinisch Wilson Weier PC serving with the Oregon litigation practice. Her practice includes representing and defending employers, insurers, and third party claims administrators with respect to all aspects of Oregon workers’ compensation matters. Trisha also has an appellate practice for which she handles all of the firm’s appeals before the Oregon Workers’ Compensation Board. Trisha earned a bachelor’s degree from the University of California at Davis in International Relations. She then moved from her home state of California to attend law school at Northwestern School of Law of Lewis and Clark College. Trisha obtained her law degree from Lewis and Clark in 2004. During law school, Trisha was an associate editor for the Animal Law Journal. She also clerked for the Oregon State Bar and Standard Insurance. 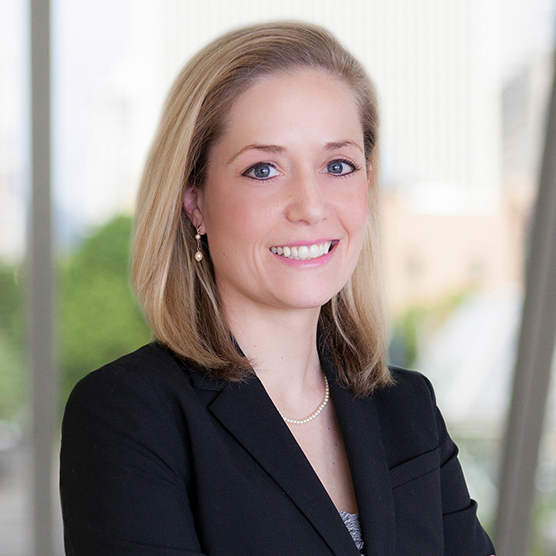 After passing the Oregon Bar, Trisha joined Reinisch Wilson Weier PC in January of 2005 where she was hired as part of the firm’s Washington practice. She obtained her Washington State Bar license in 2005. After several years of practicing Washington workers’ compensation defense, Trisha came to her senses and began practicing solely Oregon workers’ compensation defense in 2008. Growing up with a physician father and lawyer aunt, I have had a lifelong interest in both medicine and the law. The practice of workers’ compensation blends the two perfectly. I greatly enjoy the intense and detailed focus on the medical side of our practice (reviewing medical records, conferences/depositions with physicians etc.) and applying the relevant legal authority to each unique situation. More importantly, I enjoy working closely with my clients on a personal level to achieve the best possible outcome on each case. My clients play an integral role in developing and executing the litigation strategy from start to finish. Aware of the ongoing financial concerns of most clients, I also emphasize the benefits of negotiating alternative solutions to costly litigation whenever possible.